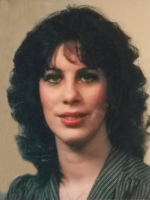 GUILDERLAND – Kathleen M. McGarvey, 58, passed away on Thursday, September 21, 2017. Kathleen was born in Queens, and raised in Franklin Square. She was a graduate of Molloy College, and worked for many years as a nurse at Montefiore Medical Center in the Bronx. She enjoyed the outdoors, and also painting and playing the guitar. Kathleen is survived by her beloved husband Steven O. Philippi; her mother Mary McGarvey of Lady Lake, FL; her children Adam T. Philippi of Arizona, Kevin Philippi of Patchogue, Steven O. Philippi, Jr. of Guilderland, and Maureen Ann Philippi of Guilderland; her brothers Terence McGarvey, III (Christine) of San Antonio, TX, John, James, and Michael McGarvey (Gloria) all of Florida, and Thomas McGarvey (Eileen) of Queens. She was predeceased by her father Terence McGarvey. A Mass of Christian Burial will be celebrated Tuesday morning, October 3rd, at 9:00 a.m. in All Saints Catholic Church, 16 Homestead St., Albany (behind CVS). Relatives and friends are invited, and may call at the Hans Funeral Home, 1088 Western Ave., Albany on Monday from 4-7 p.m. Inurnment will be in the Gerald B. H. Solomon Saratoga National Cemetery in Schuylerville, Tuesday morning at 11:30 a.m. To leave a message of condolence for the family or obtain directions to the funeral home, please visit www.HansFuneralHome.com. My condolences go out to each one you; please know I regret I cannot be with you during this time, but please know my prayers and spirit are with you, as well asy love. Sending blessings to you all in this time, when your hearts are opened by grief and love. You all have my deepest sympathies and many prayers through this difficult time. So sorry to hear of the loss of Kathleen dear cousin of Shirley Martin of Dawesville Western Australia. Love and Prayers to her husband Steven, Mother Aunt Mary McGarvey, Children Adam, Kevin, Steven, and Maureen. and brothers terence, John, James, Micheal and Thomas. Thinking of all the family members I know we will all miss another family member in heaven. My deepest sympathy and condolences to all of Kathleen’s family and friends. She will be missed. Rest in Peace Kathy. Please accept my condolence to Kathleen’s husband Steven , children and to her Mother, Aunt Mary and brothers on the untimely death of a lovely wife , mother, daughter and sister.May she Rest In Peace. Christine O’Connor and family, Portstewart . My heart, love and sympathy goes out to the entire family. I’m thinking of you all. Keith and myself, with Victoria, Dan and families offer our condolences to all of cousin Kathleen’s family at this extremely sad time. Our love, hugs, and prayers to you all. May you Rest In Peace Kathleen, we will miss you. Our love, hugs and prayers to you all. May you Rest In Peace Kathleen, we will miss you. We have wonderful memories of Kathleen and know your memories will help you all through this difficult time. Love and prayers to all. May she Rest In Peace in God’s loving arms. Please accept my sincere condolences on the passing of your wife, mother, sister, and daughter, Kathleen. You are all in my thoughts and prayers. Rest in peace, my sweet friend.